I met JoAnn four years ago. When we had a rabid baby skunk die in our backyard, she came to the rescue! She was so calm, helpful, and professional. Little did I know she would become a part of my family’s life and rescue us many times over the next few years. But that’s what JoAnn does. She’s a rescuer. It’s in her DNA. Both people and animals. 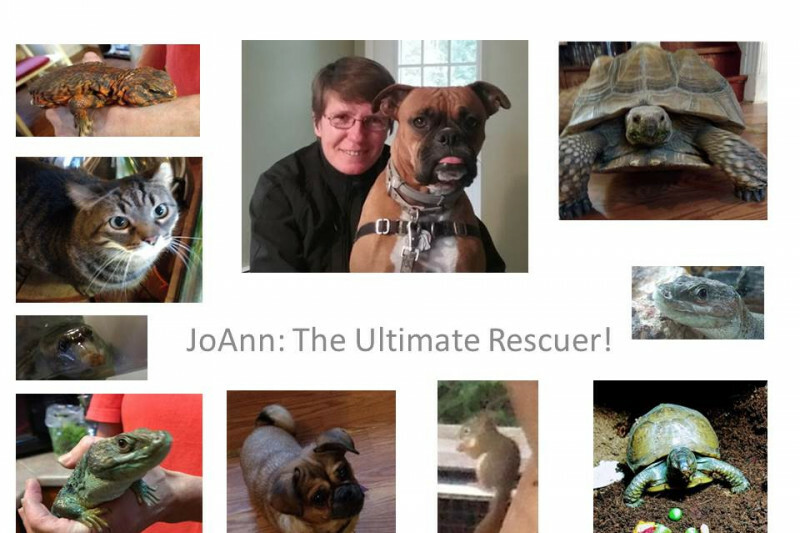 Right now JoAnn has 19 animals she has either rescued or is rehabilitating. Going over to her house is quite a treat for my husband, daughter and me. 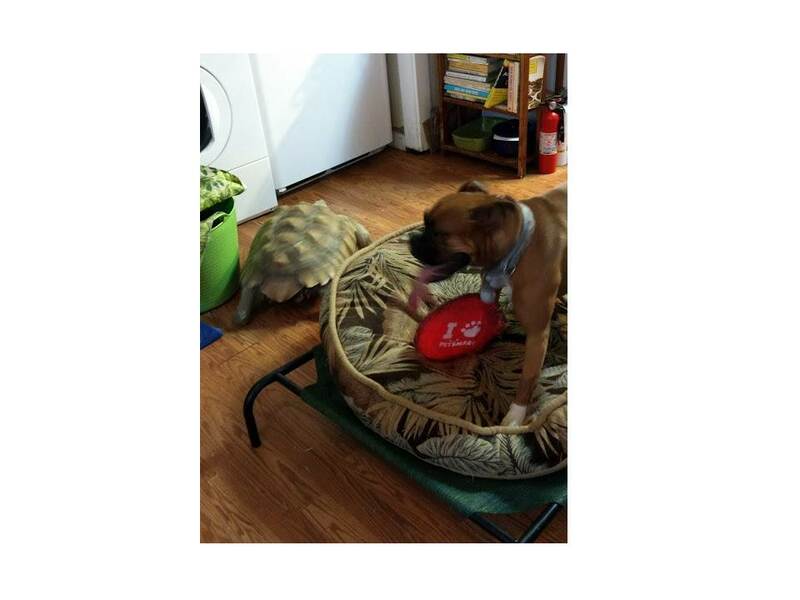 We get to see Franklin, a gigantic tortoise pushing chairs and dog beds out of the way. There are cats climbing on counters, one without a tail. There’s a three-legged dog and turtle and a variety of reptiles. Not to mention, Rick, the hedgehog. 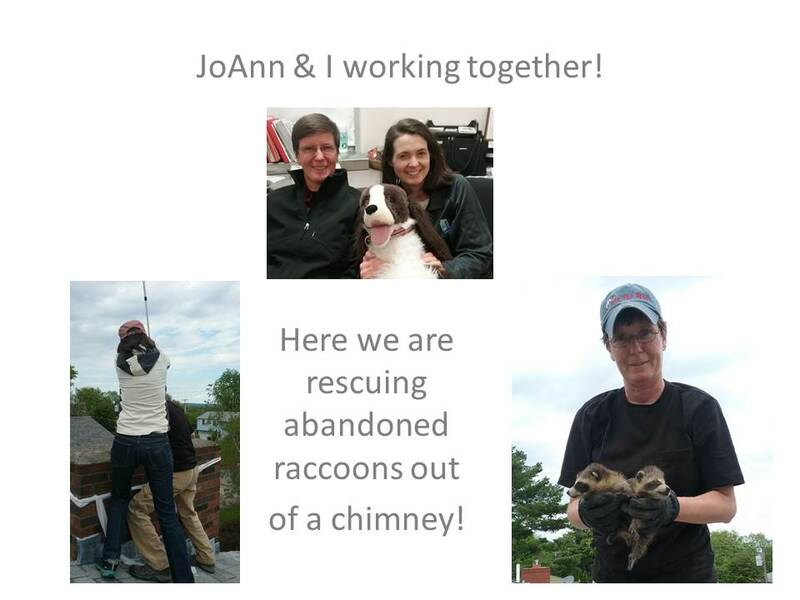 I was so impressed by JoAnn when she rescued us from the skunk issue, we ended up forming HEART Wildlife Removal together in 2015. HEART Wildlife Removal Together we are the Humane Eviction And Removal Team! It’s the only humane wildlife removal company in the area. We would love to grow the company, but there have been some setbacks. The foundation and roof of her home needed work this year and will need more next year. Her car has only three working gears and is constantly needing mouth-to-mouth from a mechanic. And recently, her elderly mother has been struggling, so she has had to make a few trips 10 hours away, to try to help her mother with her sisters. When she is away, she can’t work and has eaten through all of her vacation time. To make matters worse, in March 2016 my husband and daughter were in a serious car accident, so I have not been the best business partner! (This was the accident.) Our daughter suffered a subdural hematoma, and while she got very lucky, in the first year after the accident, she missed either part of or all of a school day 130 times! So, I have been a bit busy trying to care for her and am just getting back to doing my share to help HEART Wildlife Removal grow! Here comes JoAnn to our rescue again… Who lent us her truck, while we were still reeling from the accident and were unable to decide which car to buy? JoAnn. Who regularly brought animals over, to bring some cheer into our house and distract us, as our daughter was home recuperating? JoAnn. Who recently sent me a link to a Ted Talk which instantly eased in my mind over our struggles with healthcare after the accident? JoAnn. No matter how much she is dealing with, she is constantly rescuing others! I had wanted to run a ‘GoFundMe’ campaign to help pay for our commercial vehicle, so we could pay JoAnn more. But when I recently heard how much she was snowed under personally, I thought… It’s time to Rescue the Ultimate Rescuer! 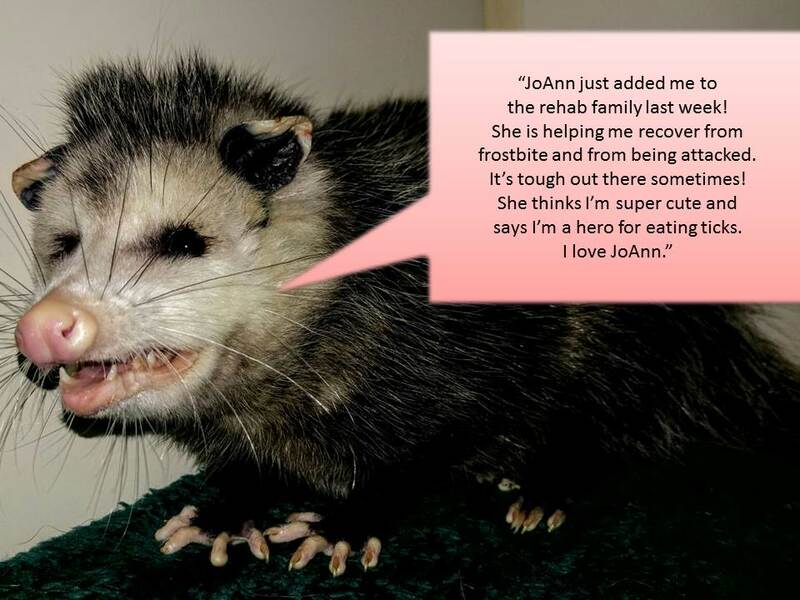 Would you help me rescue JoAnn now?! 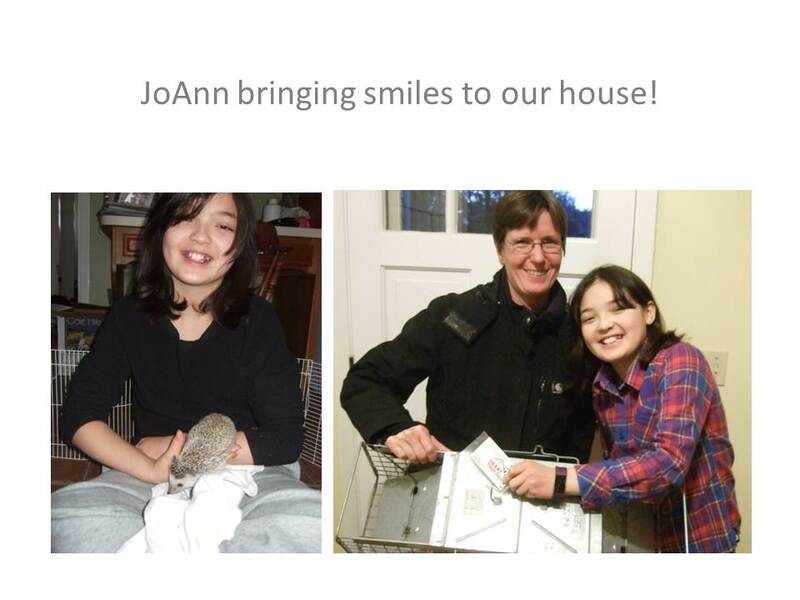 You may have seen or heard about JoAnn's 55 lb giant African tortoise, Franklin, who lives in JoAnn's house. Franklin loves people, collard greens, and warm weather. JoAnn rescued Franklin about five years ago, and has been taking great care of Franklin ever since. But it's hard to supply much warm weather in Vermont... Now JoAnn has found a new home for Franklin, where the living is easy... in Florida. While this is a sanctuary for parrots, there is also a fellow giant African tortoise named Speedy. 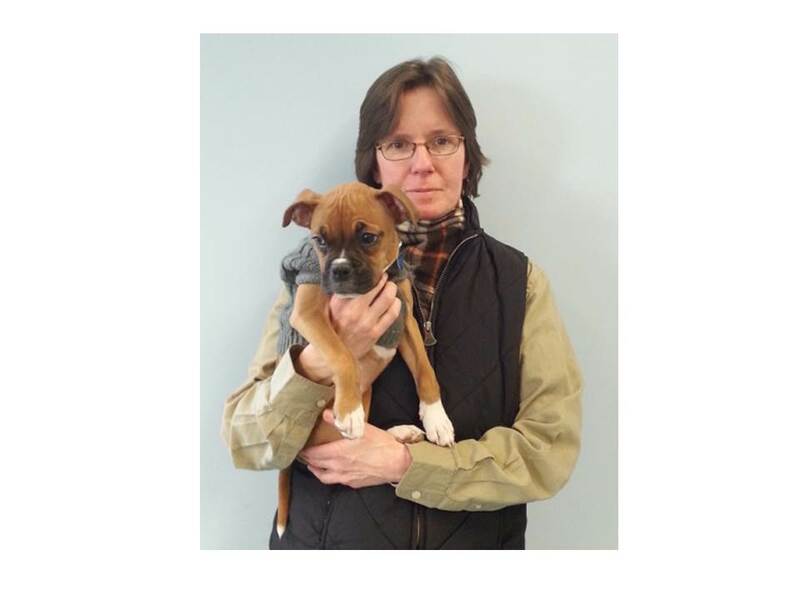 The owner has agreed to take Franklin, so Speedy can have a friend. 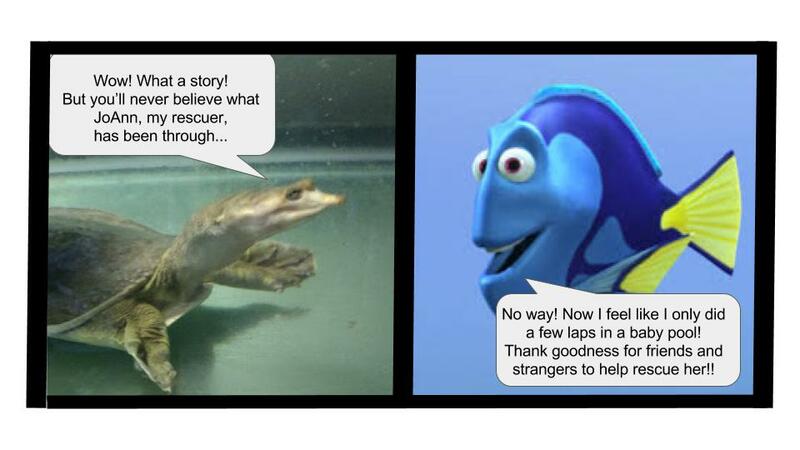 JoAnn will need to take a week off of work to transport Franklin and another Florida softshell turtle south. If you would like to help ease the financial squeeze, please contribute to Franklin's Florida Fund! JoAnn and I always brace ourselves for spring, as we never know what we'll have to deal with... But we were so stunned by this past rescue, we had to make a video about it. Thank you all for your support! We're half-way there! Please share with all of your friends, family, and followers! It was a big week for JoAnn... her refinancing seems to be coming through... and she got her car fixed, which died on Main Street! She reached out to Uncle Sam to let him know she's working on getting things in order and sent an installment!! She couldn't have made it without you! We are thinking we need to start a non-profit and open a wildlife rehabilitation center in Burlington. Who agrees?! JoAnn can't do all of this on her own! 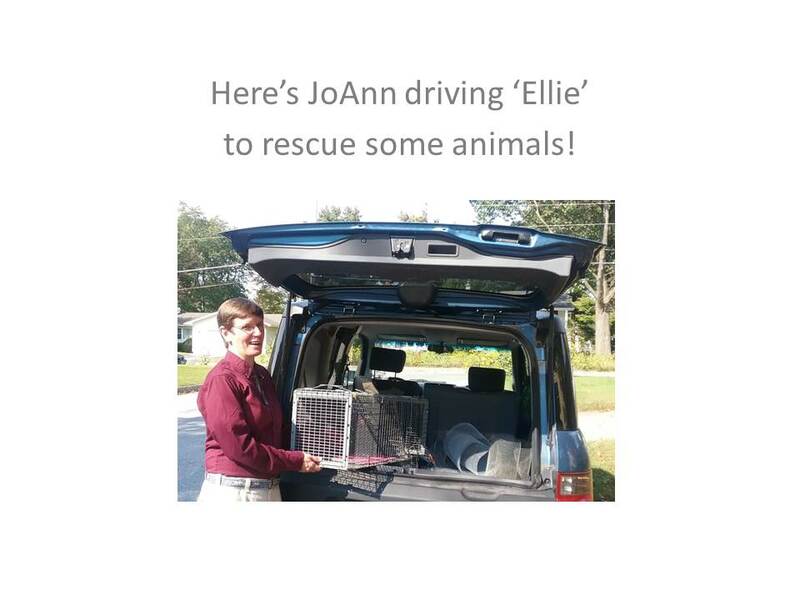 This is #20 for animals in JoAnn's care!